Hand Shucked Clams are tossed with a tangy and spicy dressing made from clam juice and a touch of lemon and hot sauce then mixed with tomato, celery, cilantro, onion, avocado, and bowtie noodles. 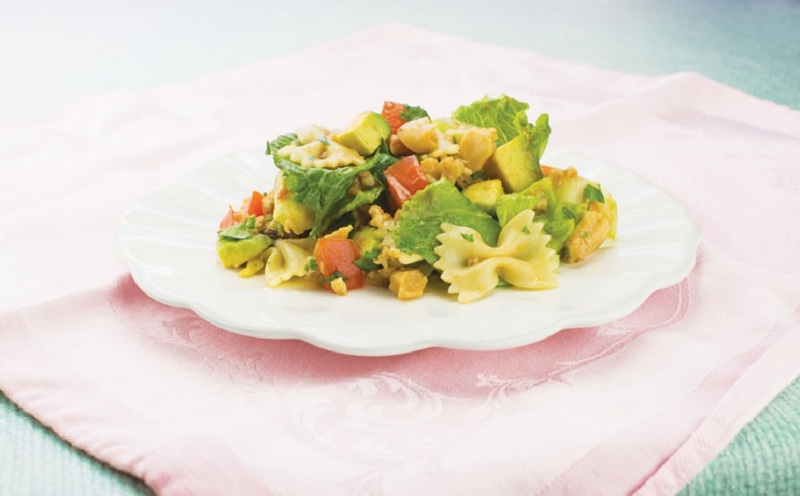 In a large bowl, combine clams, avocado, tomato, celery, romaine, ditalini, cilantro, and onion. Mix well to combine and set aside. In a second smaller bowl, whisk together cocktail sauce, hot sauce, and clam juice. Pour dressing over clam mixture, gently stir to combine, and chill for 1 hour before serving.